The Prismacolor Turquoise 2mm Lead (Qty.12) is a professional-quality refill lead for most drawing and drafting needs. It is made of refined clay and pure crystalline graphite that produces excellent drawings and reproductions. With its two-millimeter (0.078-inch) diameter and length of 5-1/8 inches, it perfectly fits all standard lead holders. 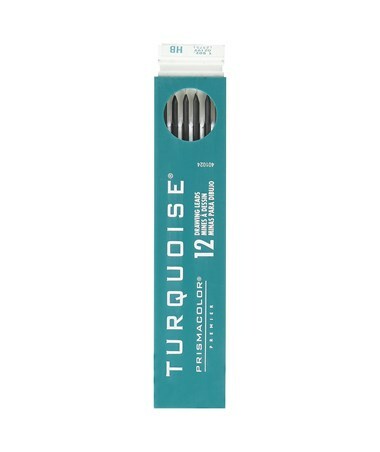 The Prismacolor Turquoise 2mm Lead (Qty.12), with 15 different graphite degrees available, is versatile and accommodates a wide range of drawing applications. It offers 12 refill leads per tray. 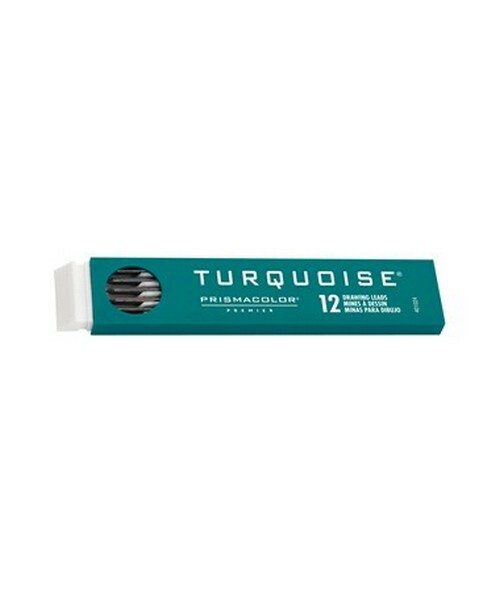 The Prismacolor Turquoise 2mm Lead (Qty.12) comes in 15 varying degrees or graphite grading. Please select your preference from the drop-down menu above.